Dan Rather’s childhood in Depression-era Texas imbued him with empathy and humility, and yes, with ‘guts’. His journey from a dirt street to the pinnacle of television journalism was extraordinary by itself, but the lessons learned along the way may be the cure for rancor and division that America is seeking. “If it’s going to be, it’s up to me” is a code of conduct learned early in life, and at 86, Rather’s passion for journalism is thriving. 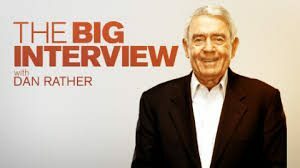 GRAND was recently treated to a free-ranging interview with Mr. Rather and instead of telling you about it, we will give you the experience, wisdom, and insight of Dan Rather, in his own words. GRAND: Hello this is Jonathan Micocci with GRAND magazine. We’re honored and delighted to be speaking with Mr. Dan Rather journalist, author and for 24 years the voice and face of news at CBS. 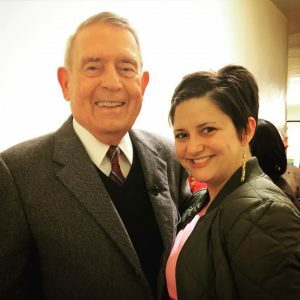 As history has been made over the last half-century, Dan Rather has been there to share his front row seat with us. Welcome, Dan Rather. 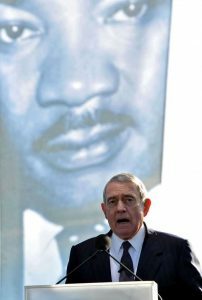 Dan Rather: Thank you very much. It’s a pleasure to be with you. GRAND: We are a grandparent magazine and we focus on things large and small. First, let’s start with a couple of questions about your family. You’ve been married to Jean for 60 years. Very impressive! And you are grandparents and I believe you’re great grandparents. Can you tell us a little bit about the family? 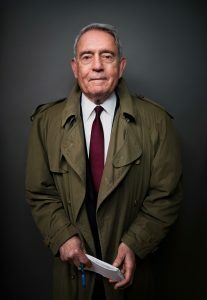 Dan Rather: Well I’m not a great-grandparent yet. Hope springs eternal. I have two grandchildren, both grandsons. And they are still young. My oldest grandson Martin is now 20 years old. He is a senior at Rice University in Houston. My youngest grandson Andrew, whom we call Andy, is 16 and is a junior in high school in Austin. I don’t have great-grandchildren yet. I’m hoping to live long enough to see my great-grandchildren but you know I’m at the age where I don’t even buy green bananas. We’ll see how that goes. GRAND: Well I hope you go out and buy some more green bananas. Now, you live in Austin; is that correct? 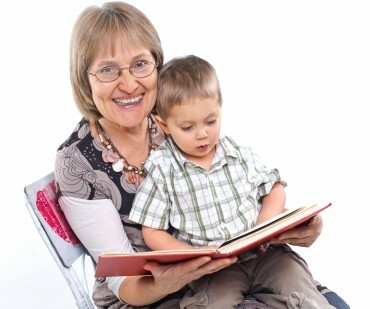 So you’re local with one of your grandkids? Dan Rather: No that is not correct. I live most of the time in Manhattan. The nature of my work, my headquarters for my company, News And Guts, is in Manhattan. I do spend a great deal of time in Austin and I expect to make Austin my permanent residence very soon. I’ve learned to love New York as well so I have a split heart about both places. 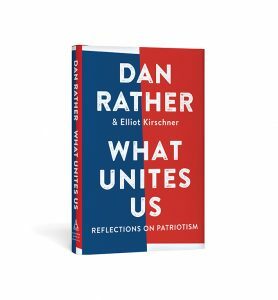 Current best-selling book: What Unites Us: Reflections on Patriotism. A must-read! GRAND: Being close to family is such a big deal. I want to talk about your book. You’ve written a number and in 2017 you’ve released What Unites Us: Reflections On Patriotism co-written with your colleague Elliot Kirschner. Let me ask, why did you write this book and particularly why at this time was it relevant for you to do so? Dan Rather: Well, first of all, I like to write. And so I’m always writing on something. But a year and a half ago I established my own Facebook page. I was slow to come around to social media, believing for a while I was just beyond that and it was something new. However, I launched Facebook and much to my surprise, almost I can say to my astonishment, we began to reach what for me was a lot of people. It’s not unusual to reach 3, 4, 5, or 6 million people and occasionally we reach as many as 20 or 30 million. And what I’ve found on the Facebook page is that there is an audience for what little I thought I might be able to contribute to my country, which is to try to be a voice of reason, a steady voice of reason that could give some context and perspective to the events of the day, particularly historical perspective. Mostly because I’ve simply lived a long time, thank God, but also I’ve been quite a few places and done some things. And so I thought well maybe in my own small microscopic way that I could give some context and perspective. With the reaction to that Facebook page, I later established another Facebook presence called News And Guts which is the name of my news company that I’ve run for the last 12 years. Frankly, the reception was so good that I began thinking maybe I could write some new essays and put them into a book. What motivated me was that we had moved with the last election into a whole new era of American life. And it turns out…there’s no joy in saying this…that some of the very top political leadership of the country fell into a bad combination of chaos and dysfunction along with some gross personal behavior, and. gross language. As a journalist for over half a century, and the longest-running network news anchor ever, Dan Rather may actually have ‘seen it all’, and he learned all along the way. My hope was that maybe in a book I could light a few embers of steadiness and sanity and reason. My time for being able to contribute anything is rapidly going. While I hope to live a long time, I’m now 86. So I thought well. I’m just going to contribute what I can and I’m particularly interested in what is patriotism here in the second decade of the 21st century? And I especially want to delve into the differences between patriotism and nationalism. We know from history that when any country goes into an authoritarian-leaning regime, it can very quickly lead to nationalism and a confusion between what nationalism is as opposed to what true patriotism is. As I say in the book, part of core patriotism is that you love your country, you love it deeply to the extent that literally you are willing to give your life to the country. But part of the heart of patriotism is humility. A humility that says listen, we’re great people, we’re a great country. We have been. we are and we hope to be in the future. But there are things that we can improve and things we can do that are right. That’s the spirit of patriotism. Nationalism at its core has some elements of conceit and arrogance. It’s more of a breast-beating, talking about how great we are. We know from history that authoritarian-leaning regimes and leaders try to convince people that the only true patriotism is nationalism. I grant it’s complicated and in some ways convoluted but I think it’s very, very important just now to know the difference between the two. And it was one of the major reasons I wrote the book. GRAND: Well I think in the book you spell the difference out very clearly. You also quote so many characters from history who have something to say about this time. So I’m going to strongly encourage our readers to go out and get that book. I’m reading it on the Kindle. In the book, you describe your journey from a pretty rough launch in rural Houston in the 1930’s, and you describe it as a segregated and bigoted world, and yet you have evolved so tremendously in your life and you are very frank about that in the book. Your career has been a model for standing up for truth and justice. Can you describe a little of that journey? Who were the influencers? If one person makes this journey, maybe a nation makes this journey. What do you think are the influences that helped you along? Dan Rather: First and foremost were my parents. Neither of my parents finished high school which was not unusual in their time and place….the time was the 1930s and the Great Depression, and the place was Texas. Frankly, I was mightily blessed and very lucky to have two excellent parents and we were part of a Texas that was segregated. On race. It was not Mississippi or Alabama, but no question that it was institutionalized racism. And I grew up in that environment in which the prevailing view was “that’s just the way things are”. However when I came to CBS News, I started in early 1962, my first assignment was to cover some early portions of the civil rights movement and Dr. Martin Luther King. And covering Dr. King changed me as a person and as a professional. For example. I went to a number of Ku Klux Klan rallies which I’d never been to before. And realizing how really spooky and scary they could be, for me, a white Protestant male, I could only imagine how terrorizing they were for people of color. And so that experience changed me a great deal…in fact it was a transformation for me in terms of how I viewed the problem of race relations for our country. Another example; I had rheumatic fever as a child. At the time it was an incurable disease, every mother’s nightmare, second only to polio. As a consequence, I was bedridden for the better part of two and a half years and that gave me, earlier than most have, a sense of mortality…you know whatever you’re going to do, you better get after it because you never know how long you’re going to live. My parents were avid newspaper readers and while they had not finished high school, they were self-educated, and they made a reader of me early. Then the fact that I was bedridden at the time really made me think a great deal about life and how long life might last. So those are among the things along the way of my adventure. My parents were also very good about emphasizing that words are important. For example, my mother taught me about the difference between compassion and empathy. That proved to be very important to me as I went along in life. Compassion is more feeling sorry for people. Empathy is something beyond that, of trying to understand what life is for other people and walk in their shoes and have a spirit of ‘there but for the grace of God go we’. 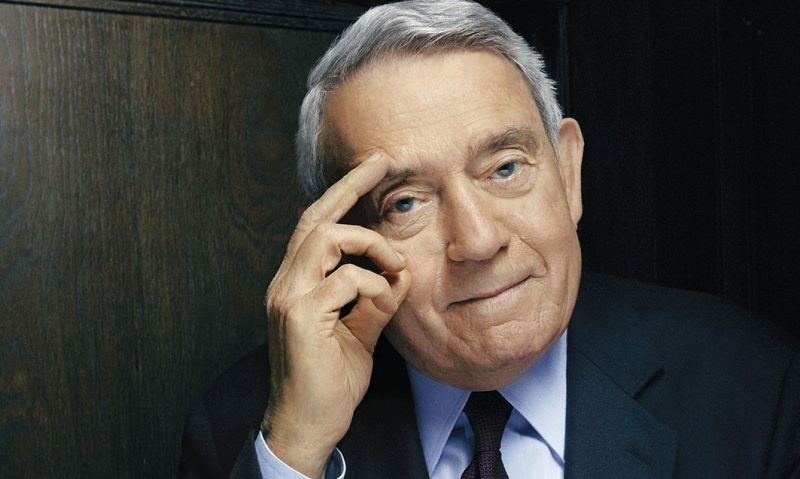 Dan Rather: Well it begins with, and this has taken me a long time to learn, but it begins with having a strong sense of humility and modesty. And from that springs a desire to listen to people with other points of view. It doesn’t mean you change your principles but it’s very important, particularly in a country such as ours to listen to one another. One of the things I lament about the present environment is the tendency not to listen to other people and other points of view and consider them and frankly confront your own biases and prejudices. For an informed citizen today, it takes a little more work than it may have been in previous times. Because, quite frankly, there’s so much propaganda and such an effort to exploit our differences. To be an informed citizen today, you can’t just listen and read an echo of your own feelings but you do need to listen to other points of view. Our whole system is built on listening to one another and finding common ground. There are so many efforts, many of them from very top political leadership, to exploit our divisions. Look, we have divisions, we have problems and differences of opinion, but this is the whole thesis of the book: there’s so much more that unites us that we shouldn’t succumb to these voices of division which are trying to exploit divisions for their own partisan political and ideological purposes. It’s very easy to succumb to the view that we’re such a divided country, we can’t hold ourselves together. That is simply not true. It hasn’t been true. It isn’t true now and we can make sure it doesn’t happen in the future if we concentrate on the things that unite us. Things like we believe in a system of law. We believe in the right to vote. To mention just two. So I’m hopeful that the book will encourage a conversation about, number one, what patriotism is, and number two, what unites us rather than what divides us. GRAND: You’re a proud Texan and that comes through in the book all the way through. For the rest of us who may have just flown overhead or driven across it, what should we know about Texas that makes it so important to you even though you’ve lived in Manhattan all these years? Dan Rather: Well first of all, while as I say I lived in New York for quite a while now and I love New York, I am, as we say in Texas, I am Texas born, Texas bred and when I die I will be Texas dead. I think what many people outside the state and even some who move to the state don’t quite understand, Texans are tied to the land in a way that…in the current urban environment Texas is no longer mostly rural…it’s mostly urban as is the country. There’s an indescribable something in Texas that ties you to the land. Big cowboy hats and big belt buckles and big boots…this sort of thing is a reflection of that. Most Texans couldn’t ride a horse if their life depended on it, and they certainly couldn’t ride a bull or bulldog a steer, but it’s that sense of how important the land is and how you belong to the land. The gravitational pull in Texas to the land, even if one moved there from the outside, even if one lives in a very fast lane urban environment. Is something I think a lot of people don’t understand about the state. The other is that we have a lot of problems in Texas and we make at least our share of mistakes, but there’s an emphasis in Texas on individualism; that you are responsible for yourself and I guess the second thing besides being tied to land would be Texans almost innately have a belief in the ten magic words, if it is to be, it is up to me. So those two things I think as much as anything are not quite understood about the nature and soul of Texas. GRAND: You’re an excellent proponent and I will look at Texas with clear eyes now. Thank you. 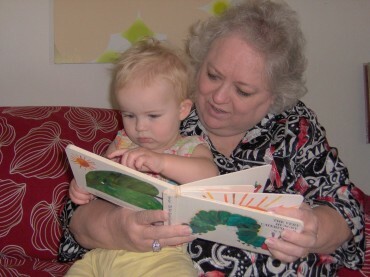 Our readers are grandparents and they care about their legacy…as we know, when you have grandchildren you start to see the world beyond yourself. 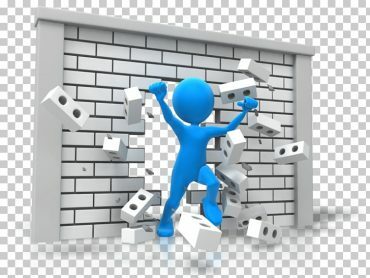 With a lot of the difficulties that you’ve talked about going on now in the world, what are the positive forces that you think we should be getting behind, that we should be signing up for or sending money to? What makes you feel good about what’s going on in America right now? Dan Rather: Well the following things make me, feel good. Number one overwhelmingly, most people in this country want to do the right thing…just do the right thing. Now all of us, in one way or the other, sometimes gets confused about what the right thing is. But now more than ever, I do think it’s important to concentrate on what’s the right thing to do. That’s first. The second thing is that we as a people…and this has been true historically though not true at all times in every way, but its part of being an American is that voice within yourself that says let me help somebody else today. That if one gets up in the morning and is not feeling very good about the day and/or not feeling very good about the country and you say to yourself “What can I do?” A good first step is to just launch off and say well “how can I help somebody else today?” Those are two things that I’m working on myself to try to do that…I could gently and very respectfully recommend that others try it as well. GRAND: Helping others seems to be therapy for ourselves, doesn’t it? Dan Rather: We saw that dramatically recently and I really was thrilled and inspired by it. You know in the wake of Hurricane Harvey we saw America at its best. Nobody waited for people outside. I mean Houstonians and those in that area in the wake of that hurricane just pitched in. It was neighbor-helping-neighbor, people-helping-people. All races, all religions, all ethnic backgrounds. And when I saw that I really was deeply touched by it because this is the real America. The America that we hear so often from politicians and particularly politicians from a very high rank…so much has to do with division. But out there in the country away from the corridors of power this spirit of self-reliance and helping one another is still very much alive and well and it’s part of what unites us despite all these voices talking about division. GRAND: Well thank you. Absolutely that is true. It was inspirational to see the reaction to Harvey and to Irma as well. People want to know where to find Dan Rather at work right now because you have not stopped working and some people may not know. So would you like to share where you can be found now? I write something almost every day on my Facebook page. 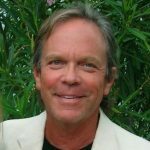 Then I have NewsAndGuts.com in which I try to expand on what’s happening on any given day and where the great tides of politics and human endeavor are going. So Facebook and NewsAndGuts.com are where I am on the internet. I do a weekly one-hour interview program called The Big Interview for AXS TV which is a cable and satellite channel owned by Mark Cuban out of Dallas. I’m also involved in doing some news and public service documentaries. We’re working on what I hope will be a great documentary story about the breakthrough in genetic engineering called CRISPR/Cas9. This is one of the most important medical genetic breakthroughs of the new century. Anyway, we do documentaries such as this. We have a full-screen documentary called Fail State which exposes the scandal, and it is a scandal, and an outrage of some of these for-profit educational institutions like for-profit colleges…many of them are basically a ripoff. So those are among the things I’m involved in. I also hope to launch early this next year, a once a week internet newscast which will be done in cooperation with a group that calls themselves the “Young Turks”. I think that will start sometime in January possibly February. GRAND: So these are your slowing down years…is that what you’re trying to tell us? Wow. You are an inspiration. Dan that is all the questions I had. If you have anything else you want to add that’s fine. 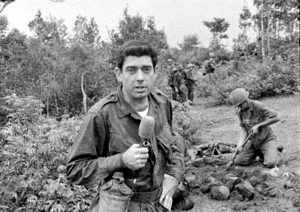 Dan Rather: No, you’ve covered a lot of ground in your questions. I really appreciate your interest and your time. I’m very appreciative. Thank you so much and I appreciate your kind words about the book. GRAND: Well we’re delighted to have spoken with you. We are going to be delighted to promote the book because we think what you have to say, people need to hear. Jonathan Micocci is president of GRAND Media. He’s a native of Washington DC, but can be found at home in Florida when he’s not visiting his grandkids in California.